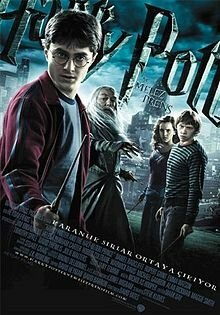 I haven’t seen any of the Harry Potter movies (or read the books) but I intend to watch them one day. Probably when my 1-year-old son is older, and able to comprehend what’s going on. This song was recommended to me by one of my guitar students, who happens to be in tune with what I do on this blog. I must say, When Ginny Kissed Harry, turned out beautifully for a single guitar. The original is played on two guitars. Also, you may want to check out my guitar version of Lily’s Theme. This was one of my first posts. While the video and (free) tab make me cringe — it’s one of the best things I’ve ever done. Before we get on with, When Ginny Kissed Harry, take some time to watch this video that has been making its way around Facebook. I’m firmly mired in the endless rat race of earning more money — for some undefined future that never seems to materialize. That video was helpful in reminding me that I’m a musician, and life is a symphony. The guitar tab for When Ginny Kissed Harry is only two pages long. Overall I would characterize this song as easy to play. My guitar is a Cordoba GK Studio. For a list of all my gear, click here. My order of play is: Verse 2x, Chorus (continues on 2nd page) — Verse 2x, Chorus (continues on 2nd page), End.